Happy Wednesday and Happy New Year Everyone! I'm really excited about 2017 for the blog. I have a fantastic schedule of interviews with and guest posts by MG and YA debut authors with ARC or book giveaways. For my writer friends, I also have some debut author/agent guest posts with ARC or book giveaways and query critiques by their agents. 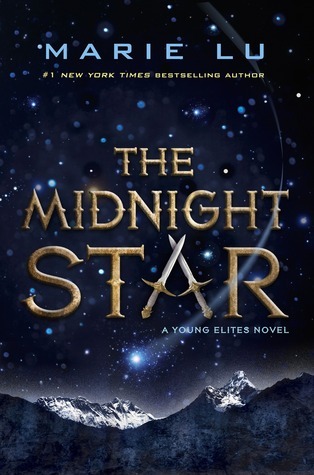 I'm hoping to schedule some agent spotlights with query critique giveaways as well. I'm also hoping to update some of the agent spotlights already on the blog. My regular schedule is changing a bit. The first week of the month I'll be posting on Wednesdays instead of Mondays because I joined The Insecure Writer's Support Group that posts the first Wednesday of the month. I'll be posting on Mondays the rest of the month, with an occasional additional Wednesday post. If you are a follower who mostly stops by for these book giveaway hops, I hope you'll start stopping by on other days to enter my other awesome contests. I’m thrilled to be part of the Best of 2016 Giveaway Hop sponsored by Book Hounds. There were so many good books in 2016 that I had to pick a lot. And I only scratched the surface in choices. So here are your choices. If you want an earlier book in any of these series, you can pick that instead. You can find descriptions of these books on Goodreads. To enter, all you need to do is be a follower anyway you want and leave a comment through January 31st telling me the book you want to win or if you want to win the Gift Card instead. If your e-mail is not on your Google Profile, you must leave it in the comments to enter the contest. To find all the blogs participating in this blog hop, go to Book Hounds' blog. Glad you joined the IWSG! I see a couple I'd like if I can get them in eBook. Thanks for the giveaway! 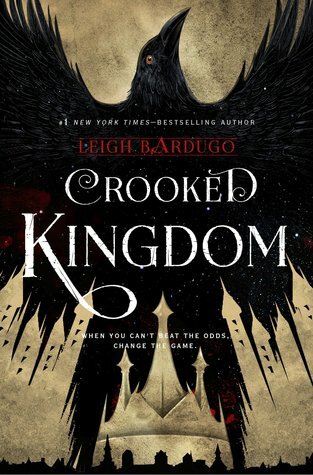 I would like to win Crooked Kingdom. I follow by Bloglovin (Leocadia). Love this! Thank you for the opportunity. A gift card would be fab. I follow as sstokes and can be reached at stacyastokes at gmail dot com. Thank you! Lots of good choices. How about Salt to the Sea. I'd like the GC and I am following via email. I'd love to have Heartless, please.. I'd love Sword and Verse. You always have such great giveaway options! lcspeers(at)gmail(dot)com. 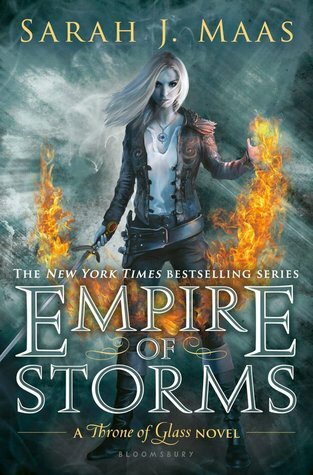 I would love to read the Empire of Storms, such a good series. Thanks for the chance to win. I'm a follower on bloglovin amanda.j.brown. The GC would be great thank you. Thank you for this. I would love Burning Glass. Either Crooked Kingdom or Heartless, can't pick between those two! But thank you for the chance to win! Hope you have a great year! I would like a Sarah J. Maas book. I have not started any of her series. Thanks! Another great giveaway! I'd love to win Sword and Verse. My email is bonecabela(@)yahoo(.)com. Thank you! I follow you via GFC as Janet Watson. I'd like to win the gift card! I'd love "Salt To The Sea"
I have read several of these so I would like to win the gift card. Happy New Year! Can't wait to see what you have lined up for 2017. For this giveaway I'm picking Sword and Verse. I'd love to win the gift card! Thanks so much! I follow through Bloglovin :) I'd pick Heartless! Following via GFC~ Tanya Guthrie. I think I would pick An Ember in the Ashes. Yay! I'd love the gift card. Three Dark Crowns or maybe the gift card lol. I would take the gift card. I need more time! I'd love to read Salt to the Sea by Ruta Sepetys! I would like Salt to the sea. I would most likely want the gc, since I can't decide on which book! I would like to win the gift card. Too many good choices. My email is mikaxelise at gmail dot com Thank you! I was already following one of you by Twitter, and I have now followed the other of you by Twitter. I am now following you via Bloglovin', also. There are a lot of books I'm interested in, but right now I would want a gift card so I could decide later. It would probably be simplest to notify me at twitter, socialjsmith, if I am fortunate enough to win. 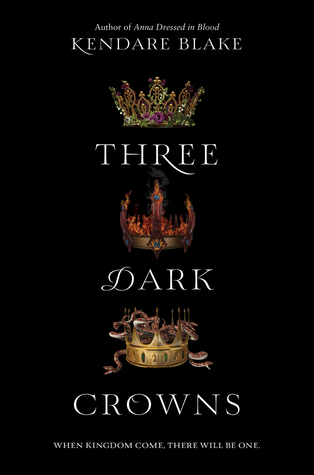 I follow via GFC - shootingstarsmag and I'd really love Three Dark Crowns! Thanks for the chance to win. Following on twitter as @AFTolar. Thanks for the chance. I'd love to win the gift card. I'm interested in The Raven King or Three Dark Crowns. Very cool options!!! It's so hard to choose, so for now I'll go with the GC. I'm so excited that you joined the IWSG! Your schedule for 2017 sounds awesome, and I'm looking forward to stopping by. Have a great weekend! If love to win the GC. Thanks so much! Can I have them all??? They look like awesome reads. I would like Flamecaster. Would love to win Heartless! So many great books, but the GC would be great until I decide :) Thanks for the giveaway. Following on GFC (as Leah) and Bloglovin (Leah @ White Sky Project)! I would love the GC! Thank you! 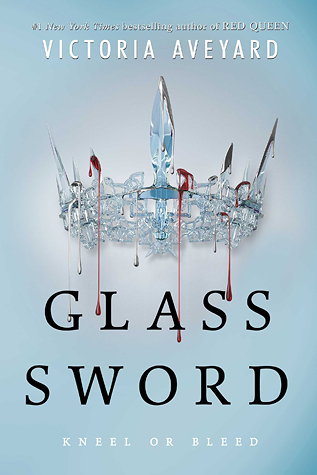 Would love Glass Sword! Thank you! I'd love to read The Raven King. I think I would choose Crooked Kingdom! I would like the gift card, please. Thanks! I'd like THREE DARK CROWNS! Crossing my fingers to win Salt to the Sea! I would love to have a gift card. I tweeted and posted giveaway on FB. I follow by email. I'm going to try my luck for the gift card please, I just can't decide on the books lol. Thank you so much for taking part in the hop, you rock! I think I'd choose The Raven King. I'd love the gift card, please :) Thank you! I love to win Heartless! I would love the gift card! I would pick the gift card. Great choices, some of my favorites are on there too! I would love the gift card. Thanks for the chance. Aaargggh! A girl kills with kisses! Interesting premise! I wish I lived close enough to grab one of those books if I could, but it'd have to be gift card draw for moi! Looking forward to seeing your posts on the IWSG! I would love to win Heartless! Following GFC as Alisha S.
I'd like to win the gift card. I follow on GFC as bluecat. I would really love The Raven King. 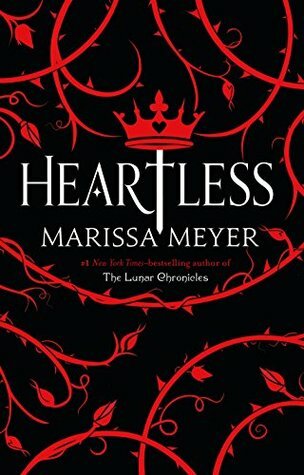 I would like to win “Heartless” by Marissa Meyer. I follow on GFC. I'd want the gift card. I have so many books that I need to read. I follow on GFC. Would love to have A Torch Against the Night! Eee, thank you so much for this amazing giveaway sweetie :D I think I would love to win Sword and Verse. <3 You are awesome. I hope you had the most amazing Holiday and that the new year is great to you so far :) Hugs. I would love Heartless by Marissa Mayer. I'm following on GFC and I would choose The Shadow Queen. I already have many of these, so I'd prefer the gift card! Thank you! I'd love to win the gift card. I'm not sure what book I would like next. I follow on GFC (Journeys of The Zoo). I'd love the gift card to buy a gift for my kids for their birthday. Thanks for giving. 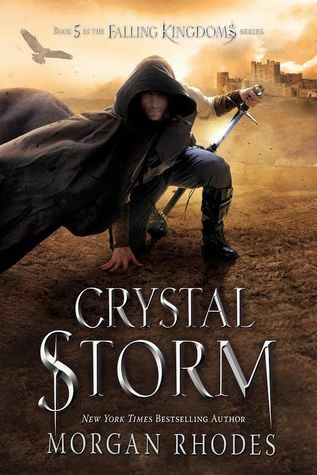 Would LOVE Empire of Storms! I'd like to win the GC. Thank you for the chance! Would love to win Burning Glass. Follow you via gfc. GFC follower (AEKZ2). I would choose the gift card. I follow on twitter as lbandj. I'd like Empire of Storms. Thanks! versatileer(at)gmail(dot)com follows via email. I would like to thank you for giving us a chance to win this today. I follow via GFC and would love to win the gift card. i follow on GFC. i'd love the amazon please. thanks for the giveaway! my email is in my blogger profile.